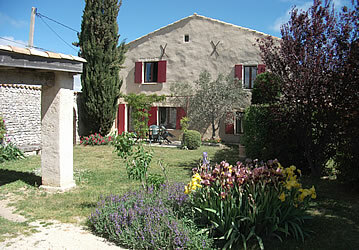 Ten years ago, Pascale and Vincent bought this old farm and have been renovating it by themselves ever since. With a great view on the fields of lavender, it offers full comfort for your vacation: two bedrooms with private bathrooms, a large living-room with a fireplace and a wonderful terrace with garden where you will spend most of your time. 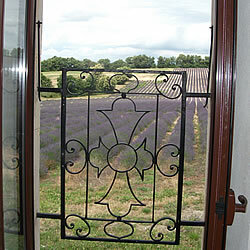 You will especially enjoy the lavander fields in July. Pascale and Vincent will be glad to tell you all about the places you need to see, as well as the famous provencal markets. Equipment: washing machine, television, electrical heating, garage.